When you get a late-night craving for BBQ, the last thing you want to do is ignore it. 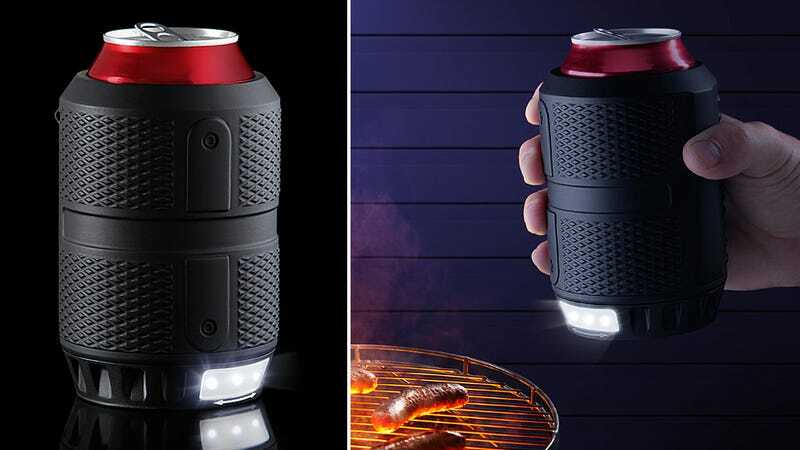 So when you find yourself standing next to the grill long after the sun has set with a drink in hand, you’ll be glad this tactical koozie with a built-in flashlight is at your side. Powered by three AAA batteries, this original ThinkGeek creation is the only sous-chef you’ll need while working on a rack of ribs, or searing the perfect steak. Not only does it prevent your beverage from absorbing the warmth from your hand, it illuminates everything you’ve got on the grill, and that perilous night-time walk across your backyard deck.